This image depicts freshly-prepared kabobs (Lt), which had been set atop an outdoor stainless steel gas grill, and were cooking. The skewers consisted of chicken, peppers, onions, and pineapple. 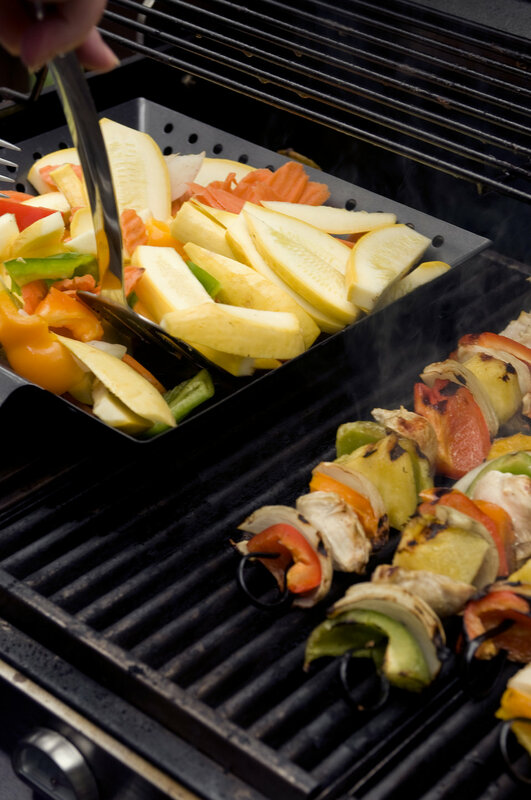 Note that the chef was attending to a grilling dish, also set top the grill, which was filled with an additional assortment of vegetables, being prepared as an accompanying dish to the kabobs (Rt).